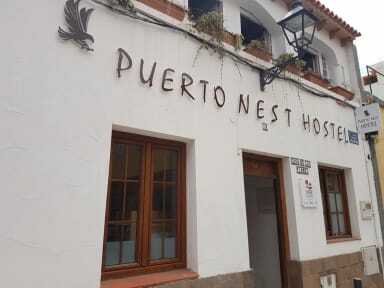 Puerto Nest Hostel i Tenerife, Spanien: Reservér nu! Hostel in Puerto de la Cruz, recently opened, is ideal for everyone: young people, families and couples. Situated in a strategic place, just a few metros from the beach and inside of authentic district called “Punta Brava” The structure, with its garden and terrace, is designed to enjoy a lovely and comfortable environment. Full of natural light and with amazing view. 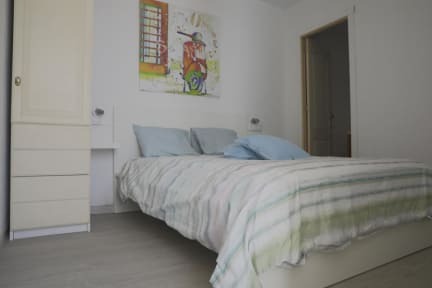 The Hostel is located in Puerto de la Cruz city, in Punta Brava district, in front of the famous Loro Parque and r few meters away from the beautiful playa Jardin, well know for its volcanic black sand. In addition, other interesting spots and places of the area are near to our facilities as well. We have several types of accommodation, both private and shared, with several capacities and all of them fully equipped with all the necessary services and amenities to bring a great experience to our guests and travellers. In addition, we have several common areas where the guests and travellers can get together and exchange past experiences and future plans.